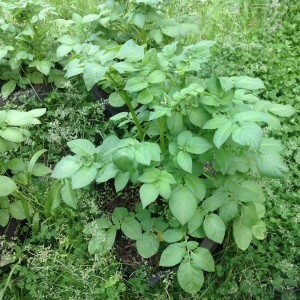 The potato plants are rocking this springtime in their soft garden bags filled with piles of goat dirt. 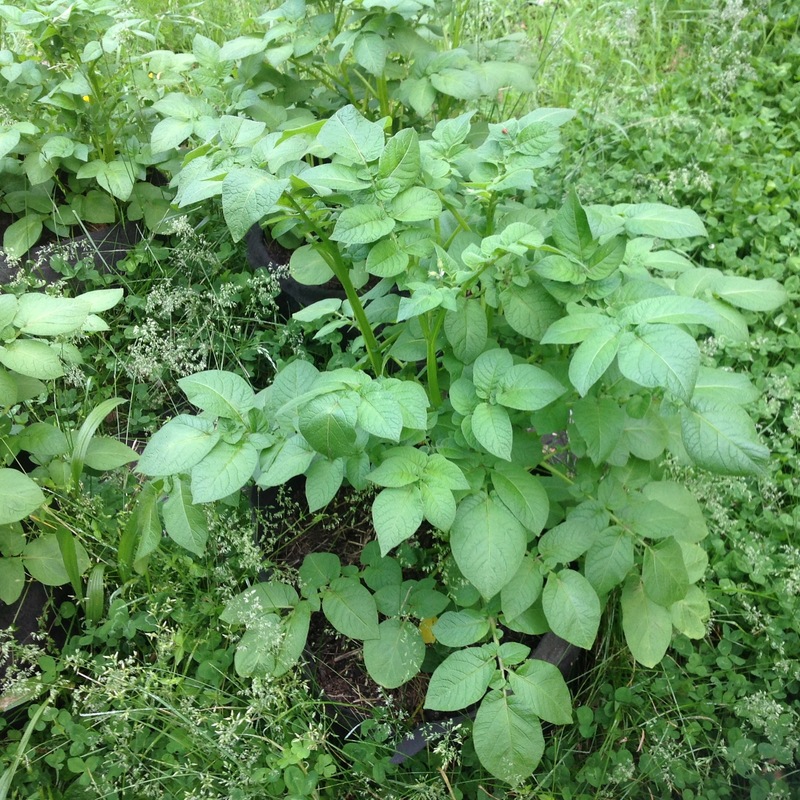 The potatoes are just about to start blooming - there are buds starting on about half of the plants. The rain hasn't slowed them down at all - only slowed the summer bugs from finding them. There was only one little ladybug on the biggest plant this morning. And I'm certainly not complaining! The wee little ladybug is the orange dot just to the right of center towards the top of the picture. Boo for no apricots this year.